The warmer weather, the sunny days, and the rolling down of windows can only mean that summer is on its way. Summer is one of the most popular times of year for people to take vacations, and could mean a surplus of visitors for your vacation rental property. This is a great time to check in with your vacation rental property to ensure it’s ready for the season. At First Western Federal Savings Bank, we specialize in non-recourse loans, which can be used to purchase a property that can be turned into a rental. This creates an amazing financial opportunity for you to build your portfolio. See some tips on getting your vacation rental ready for summer, and apply for a non-recourse loan with First Western Federal Savings Bank today! Your vacation rental could be impeccable, a designed and ergonomic masterpiece, but if the A/C is broken, you’re going to hear about it. This might not have mattered in the cooler months, but A/C has become less of a convenience and more of a necessity in this day and age. In order to prevent having to dash out last minute to your property — which can be an inconvenience if you’re in town and impossible if you’re not — now’s the time for you to get your HVAC checked on. Call a local specialist and have them take a look at your air conditioning to ensure you’ll be set for those particularly hot and muggy summer days. Your vacation rental property is likely about to experience much higher traffic, and it can take a toll on your appliances. It might sound silly to run through all of your appliances, but again, it’s better to check everything now then run into issues later. Is the microwave still working at its best? If you have a washer and dryer in your rental property, are they outdated and in need of replacement? How’s the garbage disposal managing? Perform a solid test of all your appliances now, and make any necessary changes or fixes before the busy season starts up. Vacation rental properties need to not only look good on the inside, but the outside as well. For properties without much yard space, even a simple hanging basket can make a difference in the aesthetic appeal. For properties that have more room to work with, it’s a good time to trim up the trees and shrubs, mow the grass, do some thorough weeding, and any other tasks that present themselves. If your property is on water, bring out the dock — or give it a nice polishing to spruce it up for your incoming visitors. 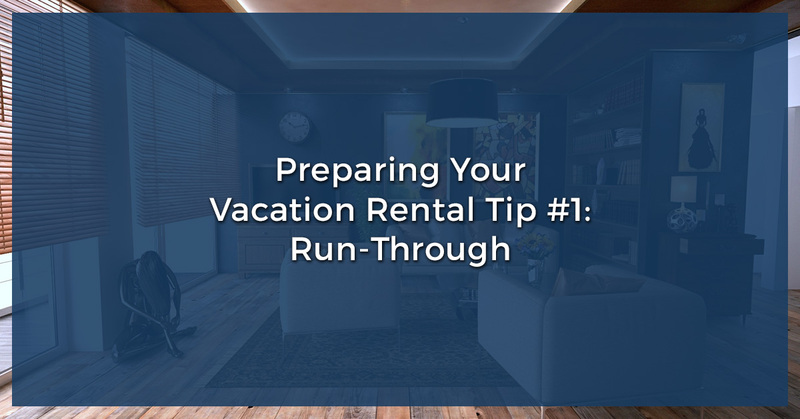 In our future series, we’ll continue covering some of the ways to ensure your property is ready for the vacation season at hand. When you meet the qualifications for obtaining a non-recourse loan, our rental property lenders at First Western Federal Savings Bank would be more than happy to help. Stay tuned for our upcoming posts, check out our YouTube channel, and get started with our lenders by contacting us today!